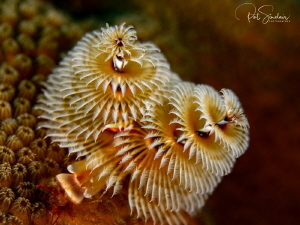 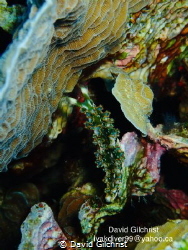 Sometimes you have to stop and take the image of a Christmas Tree worm - just because they are so danged pretty! 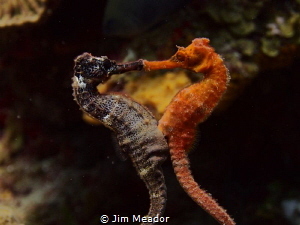 This is uncropped. 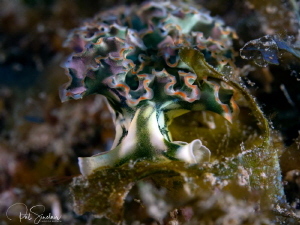 less than 2cm Lettuce Leaf sea slug - smallest I have ever seen. 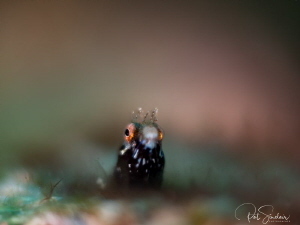 I managed to get both eyes on this image as well! 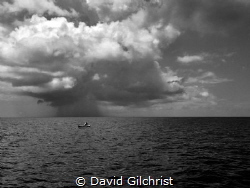 Honduran fisherman on the waters off Roatan as storm approaches. 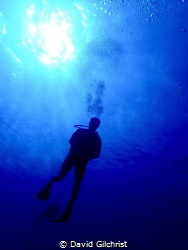 A diver makes a slow descent in the waters of the Roatan Marine Park. 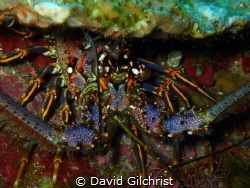 A reef lobster portrait in the waters of the Roatan Marine Park. 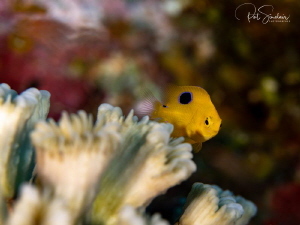 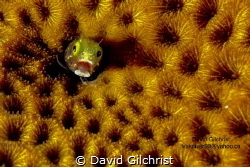 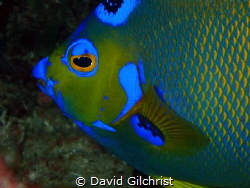 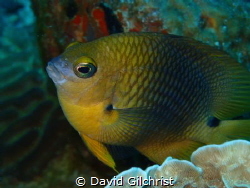 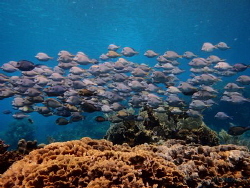 A Damselfish poses for the camera in the waters of the Roatan Marine Park. 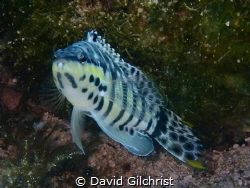 A Harlequin Bass posing for a photo in the water of the Roatan Marine Park. 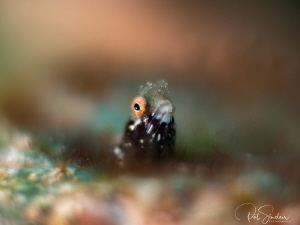 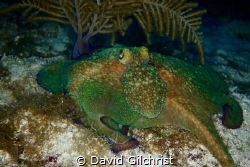 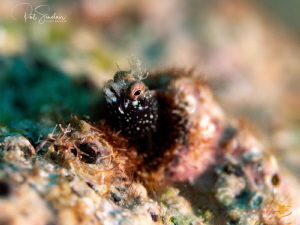 Reef Octopus photographed during a night dive in Pthe Roatan Marine Park. 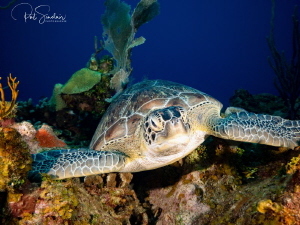 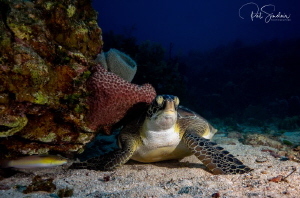 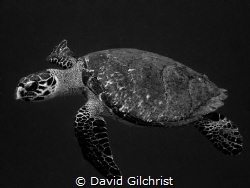 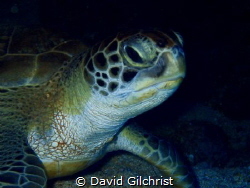 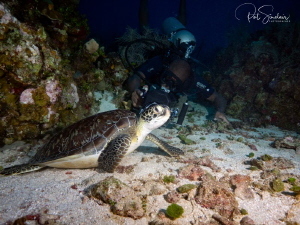 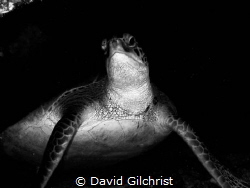 This green Sea turtle was resting under a ledge and allowed a few photographs. 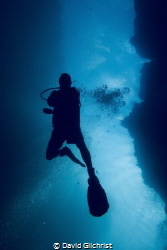 Diver swims through passage at Spooky Channel dive site in Roatan. 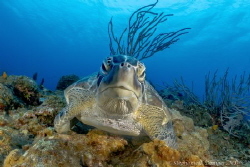 The Face of an Angel, Roatan, Honduras. 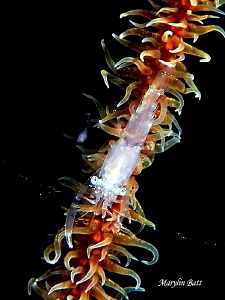 This specimen was under a ledge but Imwas able to capture this image as it moved around. 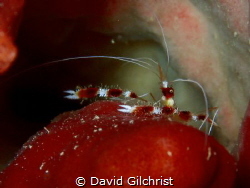 Tiny shrimp on a Whip coral.